How do you recognize an AMPA Registered Breeder? 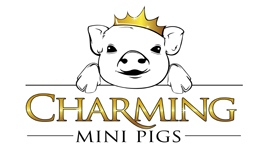 MINI PIG OWNERS LOOK FOR THIS LOGO! Looking for a mini pig? Want a reputable breeder that follows high standards for their breeder pigs and piglets, and is honest about size and mini pig care? Want a mini pig that can be registered and tracked in a nationwide database? You can trust that American Mini Pig Association (AMPA) registered breeders stand above the rest. Each AMPA registered breeder has agreed to and signed a Breeder Code of Ethics, provided images of their property of how their breeder pigs and mini piglets are housed, each breeder pig is measured and pictured for height accuracy, and each breeder must provide proof of age of each breeder pig. Many AMPA breeders have made numerous changes to their breeding program, websites, social medias pages, etc. to be apart of the much needed standard for mini pigs and prospective owners. AMPA breeders do not mislead prospective owners by using terms like Micro or Teacup, which do not exist. AMPA breeders do not guarantee or quote small unrealistic weights, and will make every effort to make sure you are mini pig educated before adding a pig to your family. How do you know if a breeder is AMPA Registered? Look for that logo!! AMPA Registered Breeders are the ONLY breeders with permission to use the trademark protected AMPA logos on their websites, ads, photos, and Facebook pages. Use the search bar on the top of the AMPA website to search the breeders name. Any and all introductions, achievements, awards for that breeder can be found on the website. Ask to see the breeder’s Certificates of Registration for their parent pigs. Our Registered Breeders work very hard to uphold the standard set by the association. They deserve all the praise and support we can give. 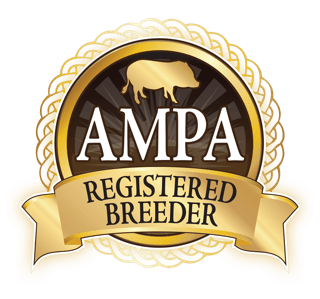 It’s unfortunate that there are breeders whom won’t do the work required to become an approved member, yet they may try to suggest they are AMPA approved. DON’T GET DOOPED!!! 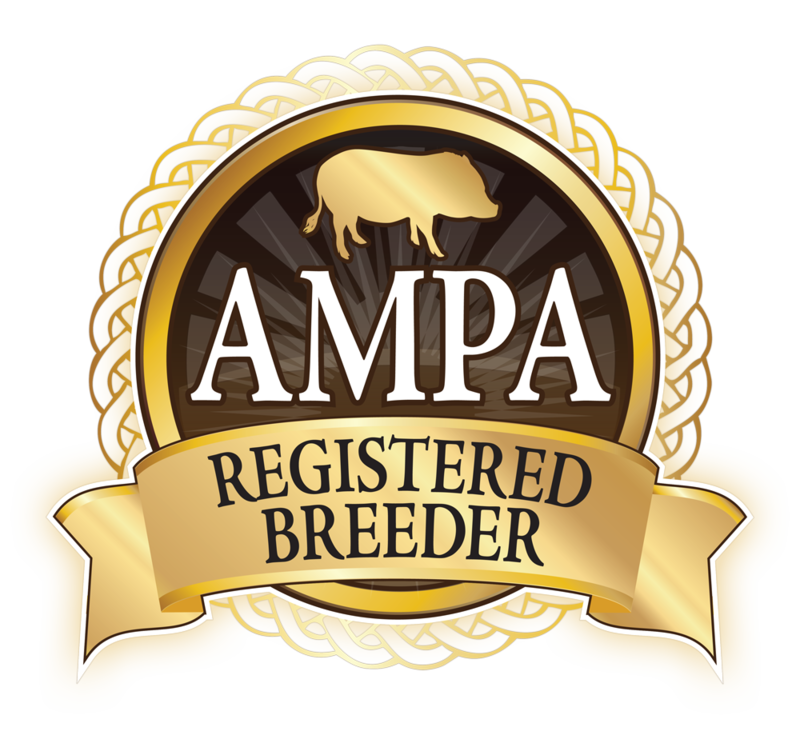 Please check out the AMPA registered breeders on our nationwide map, and read through the AMPA website for all the mini pig education you need on one website. Locate an AMPA Registered Breeder here!